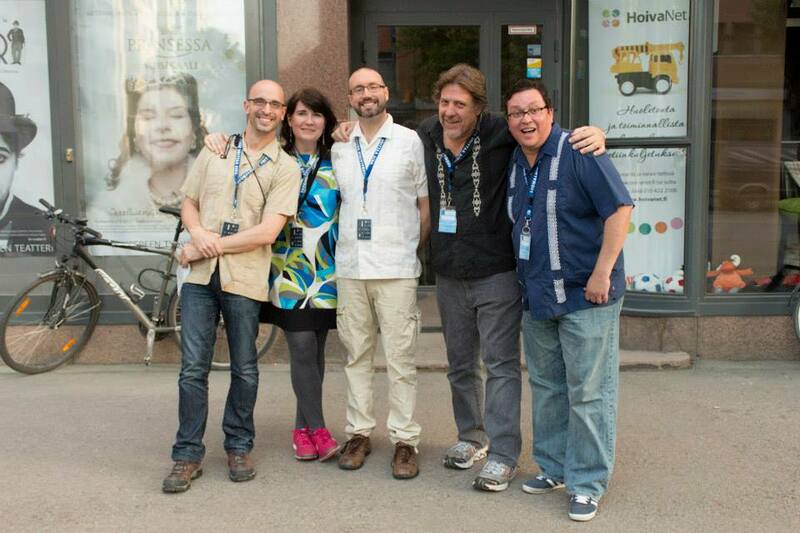 Encyclopedia Moronica was founded by improvisers passionate about History and the desire to bring not just the comedy of the 20th century to the stage, but throughout history as well! Forming Dallas' only comedic society, the members of Encyclopedia Moronica discuss a randomly chosen historical event (both what really happened and the silly ways they impact us today) before showing the audience how history - and hilarity - transcend the ages. 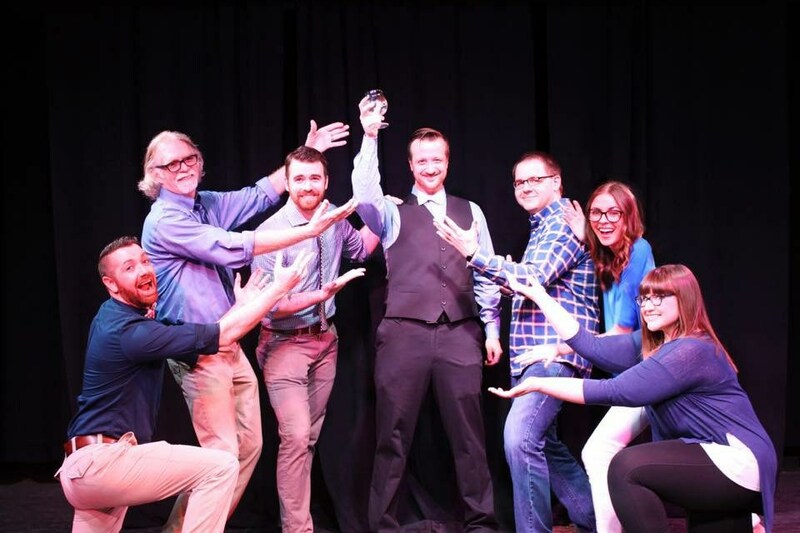 Indieprov is an Oklahoma City based improv troupe. We specialize in narrative, bringing stories you know and love to life in unexpected and twisted ways. ZOOM! is a silent, physical improv comedy troupe from Oklahoma City! They take inspiration from silent films, Looney Toons, and vaudeville. "An Evening With..." is an improv trio from Austin TX that specialize in taking you away to a soul-laced cloud of love. You won't forget "An Evening With” wherein improvisors create an original lounge act before your eyes. A group of four women righting social wrongs through improv! Kristy K. Boone, Mollie Brue, Kearby Lamson and Sue Ellen Reiman begin with a suggestion of a word which is explored through scenes and interpretive dance to find a societal ill that we solve with the help of an audience volunteer superhero! In Our Prime, three improvisers who tells stories of the real or absurd, silly or heartwarming, funny or dramatic. They explore relationships as old as time with relatable characters who are unique yet every day. Or they'll discover a world so absurd and ludicrous that you'll wonder how they found their way there. IOP will find a show to challenge your expectations and often their's too. This duo of Roger Connelly and Tyler Swartwood lets you choose any WHEN the 2 will go - past, future, perhaps a time period yet to be invented?! INTERROGATED is a fast-paced and adult-friendly improv show where we'll ask you, the audience, to confess stories from a time where you got away with something. Maybe you stole a brownie from a roommate, or spun cookies in a football field, either way we'll take them as long as they are true. Then Backline's finest improvisers create scenes based off those stories. Take One was created in 2007 when Cory J. Philips refused to stop improvising just because school was ending. Since then, Cory has continuously developed and recruited his team based, not only on talent, but also on passion, interests, and pursuits; building more than just a troupe of funny, skilled improvisers, he also created a community of collaborators eager to work on one another’s projects instead of focusing solely on individual accomplishments. Take One's players quickly make each energetic, short-form, show a celebration of weirdness and absurdity with unique, audience-engaging, games and extensive nerd-knowledge. Imagine an Anime and a Meme had a baby, and that baby grew up to do improv. Then, in an attempt to gain its parent's approval and respect, the baby goes on "Whose Line Is It Anyway?" but mainly spends the entire time passive-aggressively lashing out at those parents. It is this type of diverse and frenetic play that has allowed Take One Improv to grow from doing free local shows to being booked to pack rooms at conventions nationwide, as well as foster a loyal fan base that is as enthusiastic and quirky as the members of Take One, themselves. Sondheimlich Maneuver improvises a musical right before the audience’s eyes based on a single world suggestion. Sondheimlich Maneuver will dazzle you with their beats, vocals, and freewheeling style of play. Dylan Rohde of Backline Improv performs with the assistance of a non-improviser audience member. Rich Baker and Rolland Lopez host short form with a variety of improvisors. Obviously Unrehearsed Improv! (OUI! ), the University of Oklahoma's resident student improv troupe, specializes in short-form, long-form, and musical improv. We perform across the state at colleges, festivals, art happenings, and private events entertaining hundreds each year. In addition, OUI! also teaches workshops in conjunction with public schools, library systems, and other academic institutions. The troupe's core players come from a diverse background and represent a wide variety of academic and professional disciplines. We currently count among our ranks majors and/or graduates in Adult and Higher Education, Biochemistry, Computer Science, Drama, Film and Video Studies, German, History, International and Area Studies, Law, Linguistics, Math, Microbiology, Fine Arts, Nursing, Physics, and Political Science. Winners of the iO West Doubles Tournament (2015), Dallas Comedy Festival, and L.A. Improv Comedy Festival. In addition to the festivals above, they've also performed and taught in Denver, Phoenix, Tucson and San Diego. Mojito is a collection of improvisers from the Oklahoma City area. Mojito started as a weekly practice session that evolved into an improv troupe. The members of Mojito took an improv intensive that focused on the Harold improv format as developed by the one and only Del Close. The intensive was taught by the fantastic Bill Russell of the Comedy Shrine in Chicago. Mojito performs on a regular basis at OKC Improv showcases in Oklahoma City. Red Dirt Improv and Everybody and Their Dog have been involved with every IFO since the beginning! This year, they will do a mashup the likes of which no one (troupes included) have ever seen! Red Dirt Improv founded IFO ten years ago. Everybody and Their Dog is the longest running improv troupe in Oklahoma (24 years!). ¡ZARZAMORA! was formed in 2010 in Austin, Texas with three long time friends and collaborators with a desire to perform more cerebral comedy than they usually attempted. Since then the group has expanded to five members and have performed in festivals across the country and overseas (Finland to be precise.) All the members share a passion for performing and as a group are adept at numerous aspects of improv, including one-person performance, dramatic improv, short form games, long form genre narrative and guerilla performances.